Did we all have a lovely food filled Christmas and New Year? It may all be over but this cold weather is in full force. 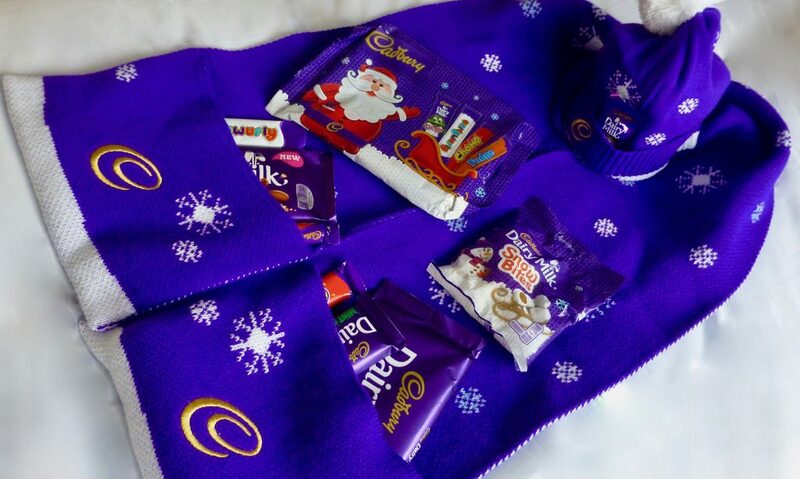 Walking outside like a pig in blanket covered in layers and festive knitwear is an absolute must and Cadbury Cadvent Knitwear has got us covered this chilly season. You may have noticed that Cadbury have been partaking in #cadvent. What is Cadvent I hear you ask? Well this campaign showed a series of children’s wishes for their loved ones come to life each day throughout December. 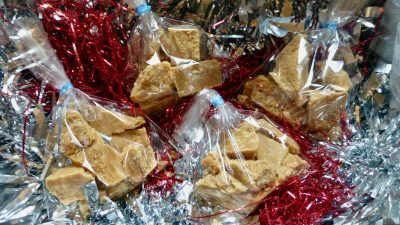 We have had visiting a soup kitchen and giving a trolley full of Cadbury goodies, to throwing a party in the village to get to know everyone and bringing the local fire brigade Christmas dinner as a thank you for keeping them all safe. If that’s not spreading the Christmas joy I don’t know what is. This year sees the first ever Cadbury Cadvent Knitwear collection and the lovely Golin kindly sent me some to try. 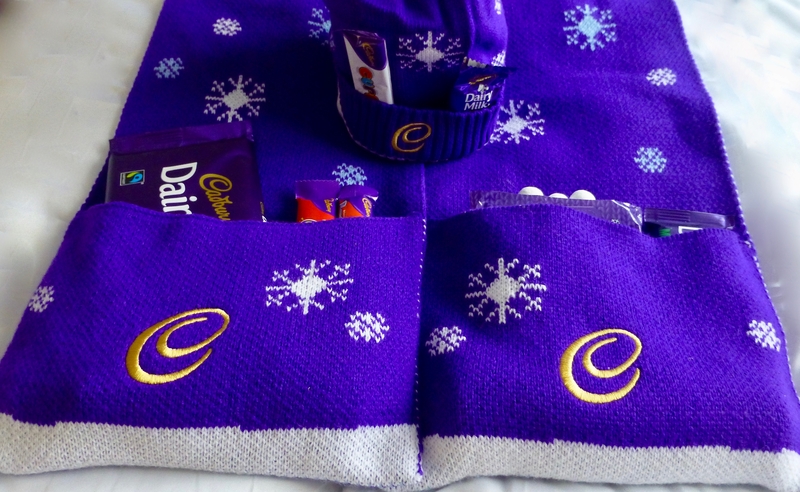 Now this isn’t just any old knitwear, oh no siry bob, Cadbury have taken it one step further and given us knitwear that you can stash your favourite goodies in, and if you’re sneaky you maybe able to gobble up the treats before anyone notices! Anyone who knows me knows my obsession with scarves. Come rain or shine I will wear one, and if a scarf catches my eye then it’s a solid 99% chance I am going to buy it; You can never have too many. I was pretty excited to receive my bobble hat and scarf but was a wee dubious on if you could fit as much in there as suggested. Low and behold you can. Both the scarf and hat were cosy and warm, the scarf with its 18cm deep pockets could fit a hell of a lot of chocolate including several Dairy Milk bars, a selection pack and a pack of Snowbites! For those real chocoholics the iconic coloured bobble hat even has room for a few sneaky mini bars. 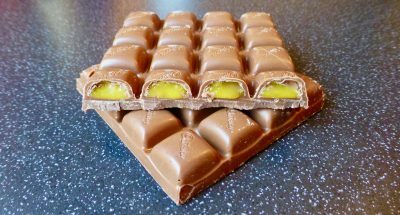 What a grand idea Cadbury. Who wouldn’t want a scarf you could hide goodies in? This scarf is already a firm favourite on the long dog walks! 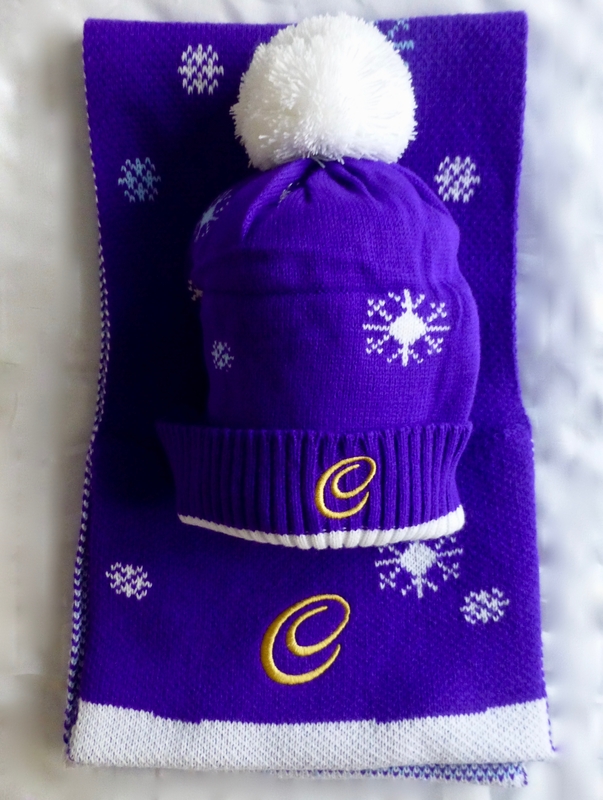 If you want to get your hands on some exclusive Cadbury Cadvent Knitwear then visit their online shop here. *A big thank you to Golin for sending me these Cadbury Festive Goodies.